Thirty snapshots of a wonderful life. In 2016 I participated in the AGDA Mentorship program. For a period of six months I had the privilege of working with Dominic Forde of ‘Forde + Nicol‘ together we explored design and ideation techniques. 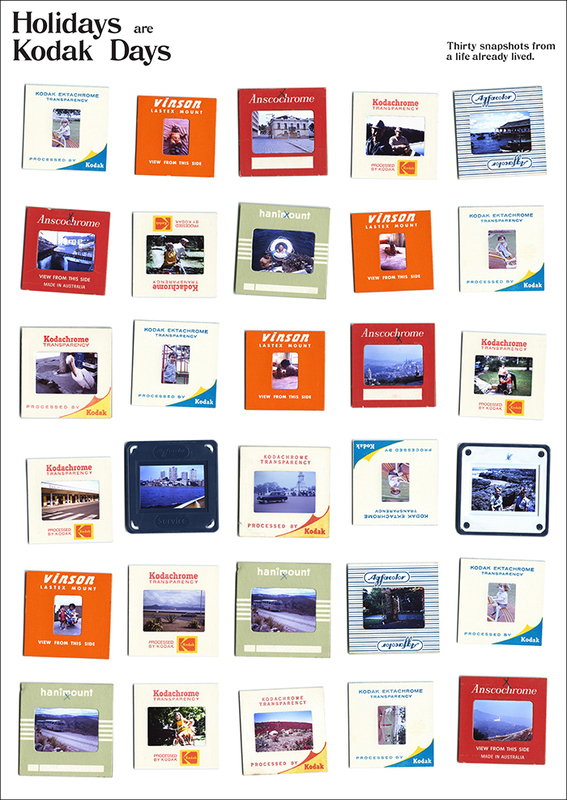 Drawn together from a massive slide collection selected several photos from hundreds of slides and assembled them in a non-liner format to tell the story of a life already lived.